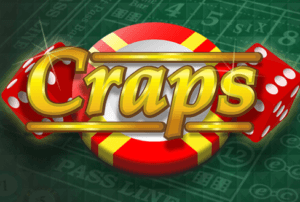 As Craps is considered one of the most famous casino and online games today, it naturally becomes necessary to understand the expressions and words surfacing in the game. The game includes an almost infinite amount of words and slangs, so it’s hard to try to learn all of them at once. This article will cover the most important and essential expressions in order to understand the context when playing Craps. Arm: When a player is very skilled to the point that he or she is able to modify the conventional odds of Craps, this term is used. There is a constant debate about whether this is a myth or not, as there is no real proof such a player actually exists. Nevertheless, the dealers at the Craps table in a casino are very strict about throwing the dice against the wall to make sure that the outcome is completely random, just in case. Bank Craps: This is the actual term of today’s casino game, even though everybody knows it as just “Craps”. The real Craps takes place in private gambling places and implies that one plays against other players. But as players bet against the house in casinos, the correct term is Bank Craps. Boxman: A boxman is the employee of the casino responsible for the casino’s chips on the table. Usually, the boxman is sitting between the two dealers of the game. Centerfield nine: The game of Craps has several names for all the numbers one can hit on the dice, ranging from 1 to 12. Centerfield nine is simply one of the many names one can say when hitting a nine. Easy Bet: When one places a bet with a dice roll of 4, 6, 8, or 10 with each of the dice having different numbers. For instance, betting on 6 can be won by 5 and 1, or 2 and a 4. Fade: If one meets the bet of an opposing player, it is called a fade. This is a very common term and thing in the privately played Craps where you meet other gamblers. Before throwing the dice for the first time, the thrower has to put a stake, and the opposite player then fade it – meaning that one bet against the thrower up to the stake. Everything that is not faded needs to be withdrawn by the thrower and if that person looses, the opposite player takes home double the faded amount. Hardway: This basically means betting on throwing pairs that result in 4, 6, 8 or 10, such as a double 2 or a double 3 before a 7 appears on the dice. The Hard Way Bet: The term is related to the “hardway” mentioned above, but much more strict. Doing a bet the hard way means that one goes for only one bet with doubles. The name thus logically states that this is not easy. Similar to the first “hardway”, this is only won if it is rolled before a 7 appears, but also if an “easy way” combination of the total bet with the hard way is hit. For instance, one bet on 8 only by getting a double 4. If you get a 7, or a combination showing the total amount of 8 (not being a double), the bet is lost. Playing the field: Doing this bet is a very popular thing. Here, one has to find the box with “field”, along with a couple of numbers written on it, and then place a bet. Doing a field bet is very common and means that one bets for the next roll to be 2, 3, 4, 5, 6, 7, 8, 9, 10, 11 or 12. Snake Eyes: This term refers to when someone hits a two in craps. The argument goes that the two looks like eyes, and the actual number two here is bad to get, which is connected to the word snake. When “snake eyes” appears it is to say that one loses a bet on the pass line.